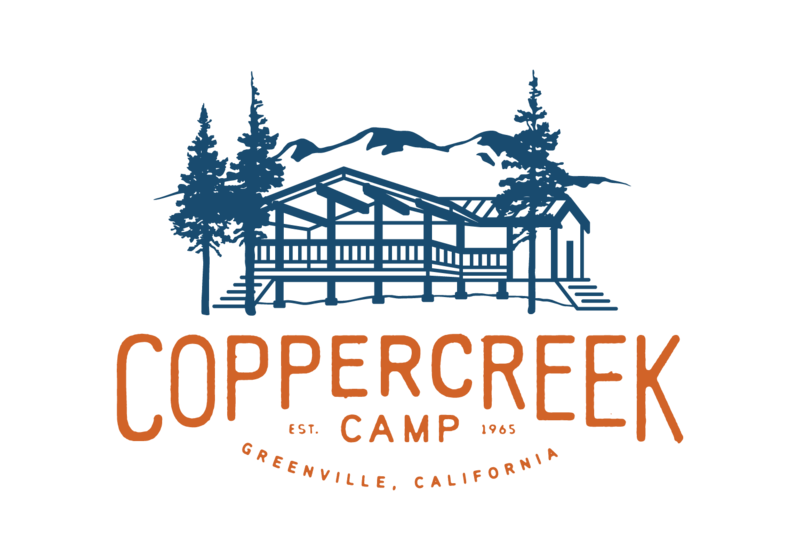 Coppercreek Camp Is A Cozy Camp Full Of Big Adventures! activities features water sports and wakeboarding, rock climbing, a high ropes challenge course, mountain biking, skateboarding, drama, art, music and farm animals. That is just the beginning of what campers will find at Coppercreek Camp. Through creating their own schedule, campers grow in their confidence, decision making skills and are excited about each day. We are noted for our fabulous English equestrian program taught by all safety certified instructors. Our lesson groups have a teacher/student ratio of 1:3, much higher than most other summer camp programs. 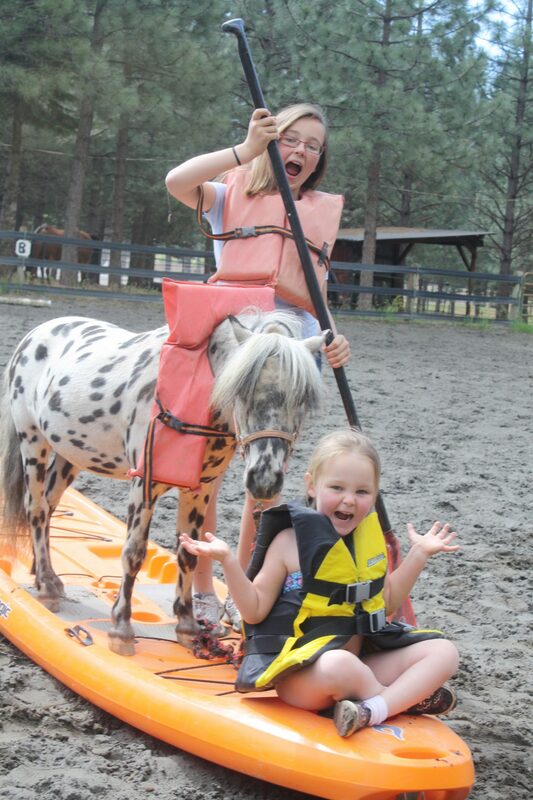 We can accommodate a child’s first ride and campers who are in regular lessons and competing at home. We also teach miniature horse driving, vaulting, and clinics on horsemanship and equine health. 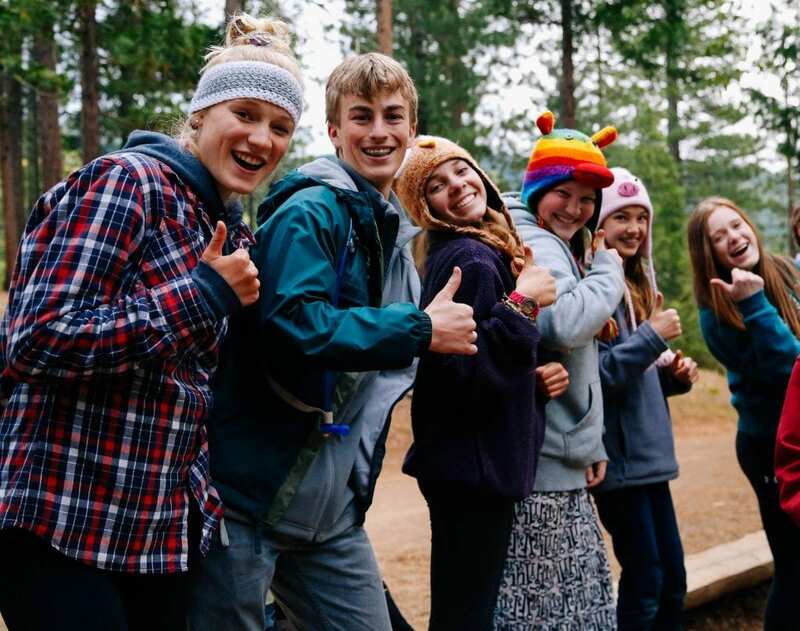 Our very popular teen leadership programs fill every summer because teenagers are engaged with innovative programming created specifically for them. CITs (Counselors In Training) work in Traditional Camp activities with counselors and younger campers. They can also choose to specialize in an activity area of interest such as the equestrian, lakefront, mountain biking, art & drama, or rock climbing programs. We enjoy working with teenagers and welcome their spontaneity, energy, and humor. Our counselors are hand picked by us for their maturity and leadership. Our ratio in most programs is 3 to 1 and the average age of our staff is 24. 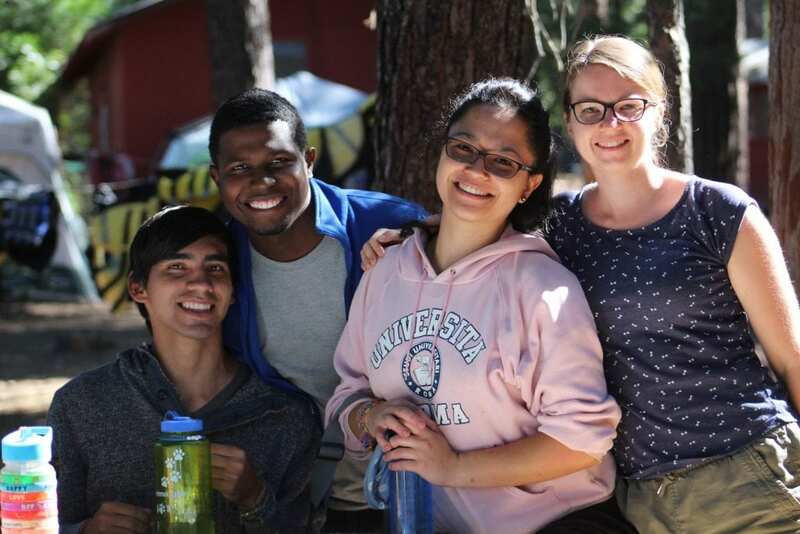 Our staff come from all over the world, just like our campers, adding to the rich culture and diversity of our camp family. Most of our staff are undergraduate and graduate students majoring in child development, education, recreation or professional advanced degrees. We also have a core group of returning staff working with children year round in classrooms, after school programs and on ski slopes! 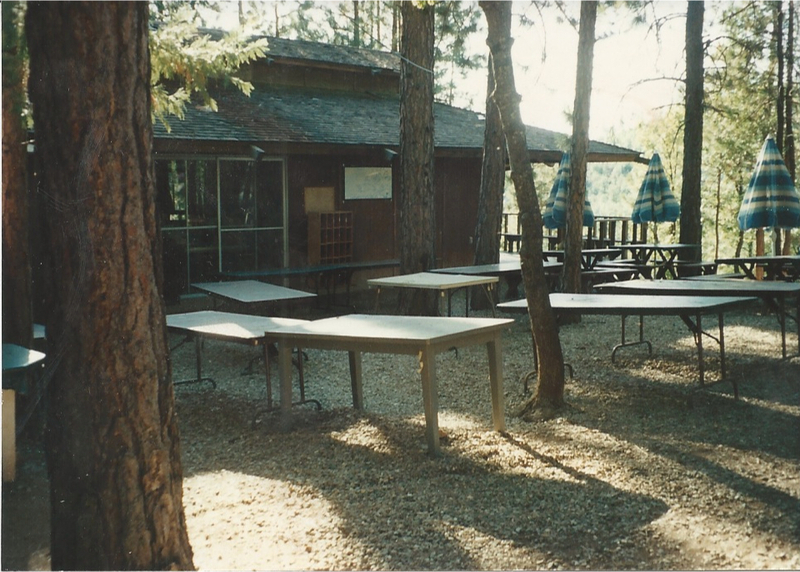 Coppercreek Camp is located in Northern California and we have been here, welcoming campers since 1965. We hope you will decide Coppercreek Camp is the perfect place to spend your summer! 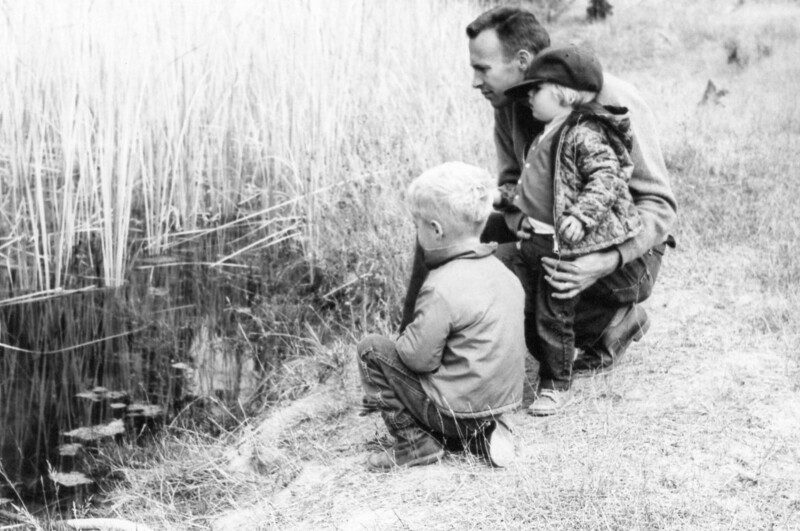 Our family-like environment is created by campers of all ages to support and encourage one another and we strive to help families raise wholesome children that appreciate nature and time in the outdoors away from the hustle and bustle of everyday life. To provide a meaningful experience that campers can take with them for years to come. 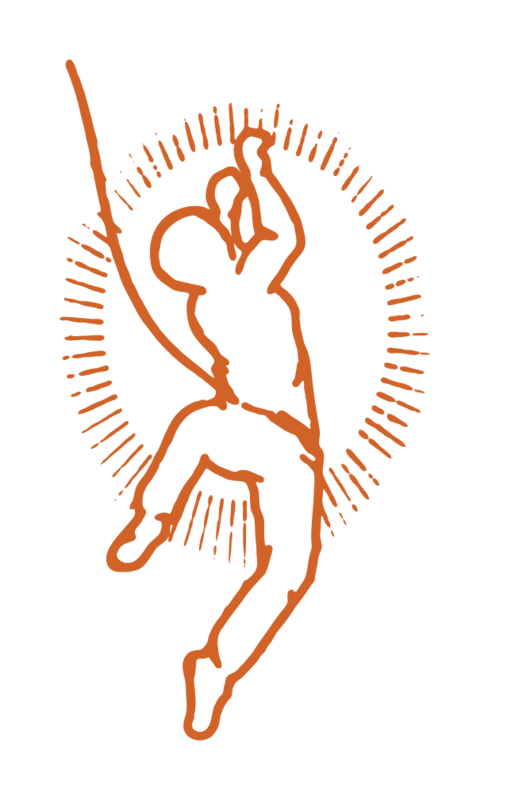 Our activities and free choice program are used as a vehicle for personal growth. We make safety our first priority in everything we do. Our staff are certified in first-aid and CPR and spend two weeks prior to camp in safety training. There is nothing more refreshing and therapeutic than a few weeks of genuine laughter with friends in clean, crisp mountain air. We encourage respect for our environment and a sense of stewardship in preservation. We have integrity in our programs and we encourage campers and staff to be honest, sincere, and have sound moral character. Taking time away from technology to build meaningful relationships in person. A safe place for everyone to be themselves, play, laugh, and create lifelong memories. 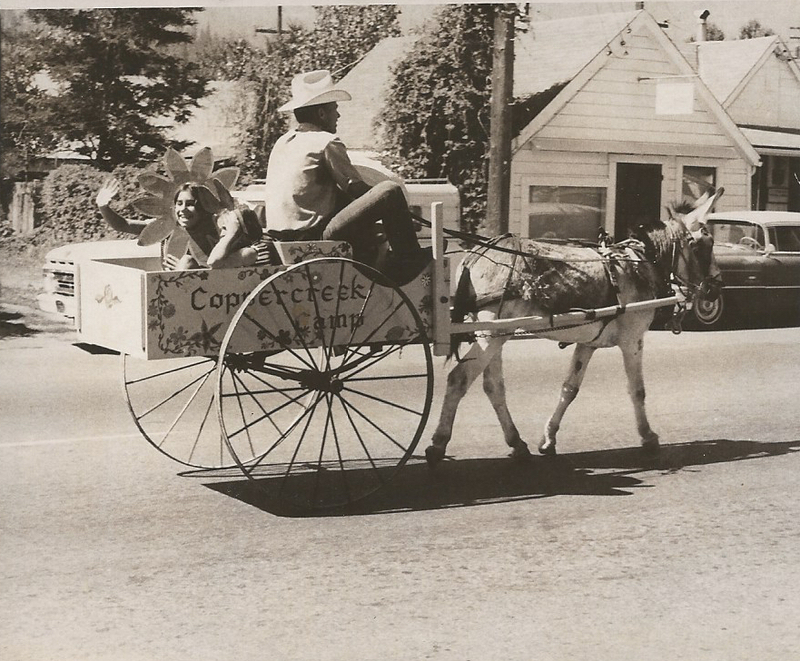 Coppercreek was born in 1965 when John Lindskog and Lynne Evarts purchased the raw land. Their dream was a children’s summer camp where kids could spend their summers playing with friends in the great outdoors. The family lived in a one room log cabin with no indoor plumbing for awhile as John built the main house. The first years, camp was mostly relatives and some of the activity highlights were taking the old Willy’s Jeep on archaeological adventures around the surrounding area. John and Lynne raised their children Mike, Matt, and Lauren at camp, and although the activities have expanded, the family feeling and sense of adventure remain. 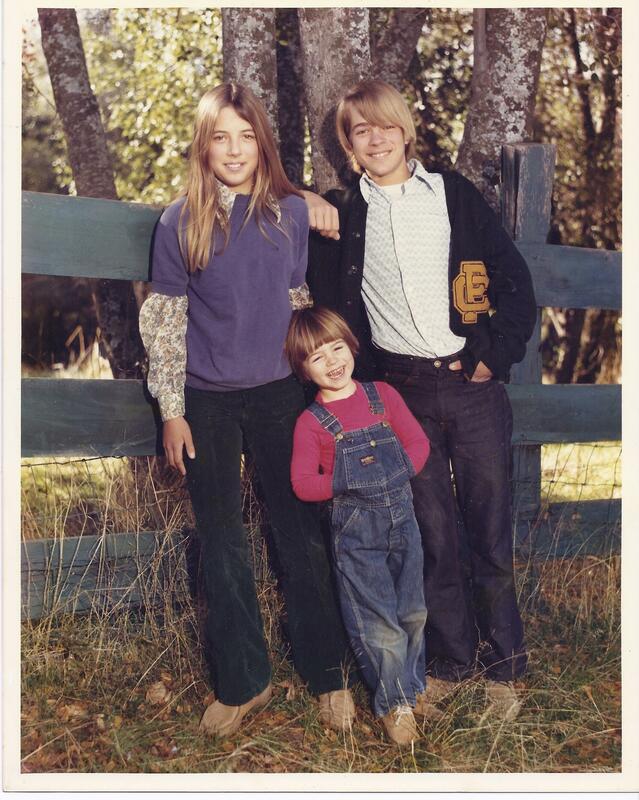 In 1992, John and Lynne’s daughter, Lauren Allen, joined in the full time management of Coppercreek. 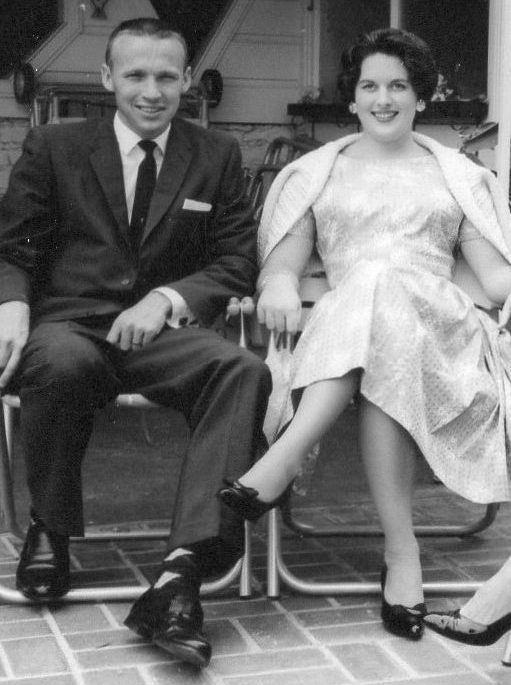 That same year, Craig and Becky Hogland started as counselors. They joined the full-time management team in 2001 after 9 summers at camp and winters in the ski industry. Lauren raised her daughter, Sutter, at camp and Becky and Craig are raising Ryleigh and Makenna here too. The greatest part of raising children at Coppercreek is the kind of adult a camp life creates. The girls can drive tractors at 8 years old, feed 40 horses, ride them, ride mountain bikes, kayak, climb, hike, like sleeping outside, bugs, dirt, full moons, and sleep-overs with 100 other people! 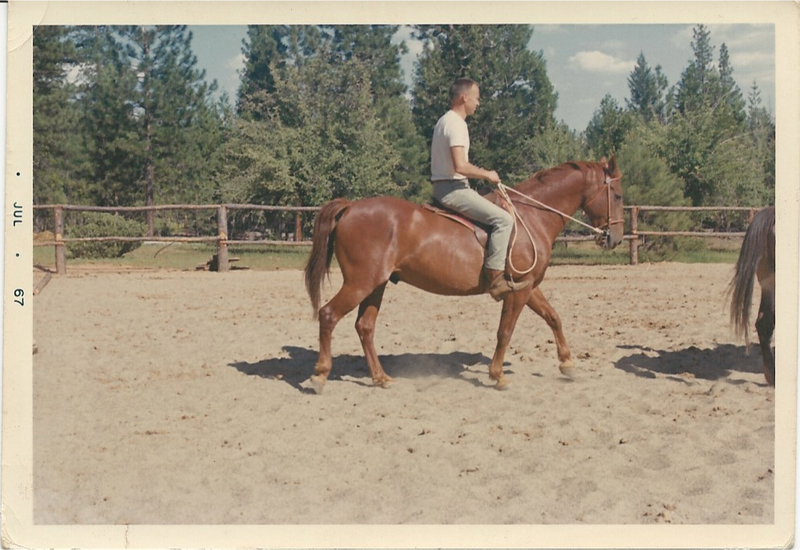 In 2014, Sutter started managing the camp kitchen and teaching the advanced jumping lessons. 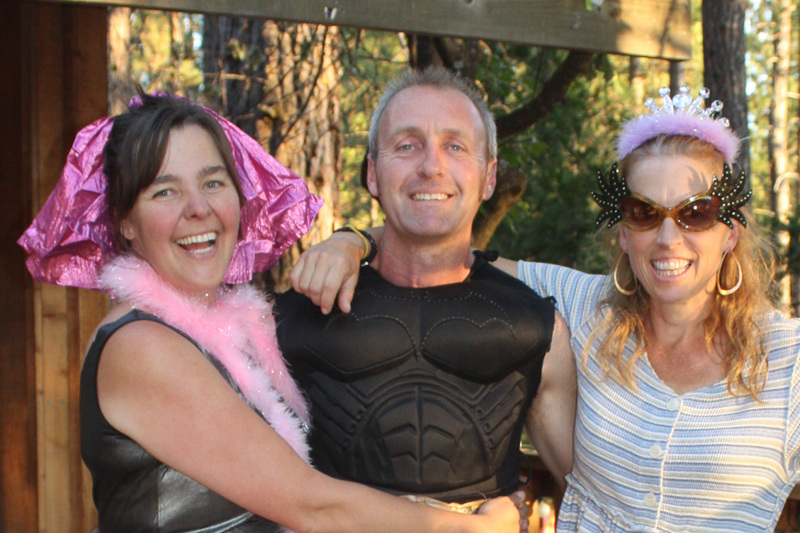 Now, Sutter and her husband, Taylor, have joined the team full time and direct Coppercreek Camp with Becky and Craig. Sutter and Taylor’s son, Harper, now gets to grow up just like the rest of the Coppercreek kids. The four of us, Sutter, Taylor, Becky and Craig are on site every day all summer long sharing our love of the outdoors and the incredible experience of camp life. Sutter is the wrangler of all things four-legged, the voice of the next generation and bravely stands beside Becky to pick up any dropped juggling balls. She is a new momma to our youngest camper, Harper. Taylor is part cattle rancher part camp fixer-upper. He maintains the facilities, is a photographer for our smugmug site, helps wrangle horses and is “dj Twizzler” for friday night dances. He is Sutter’s husband and father of Harper. 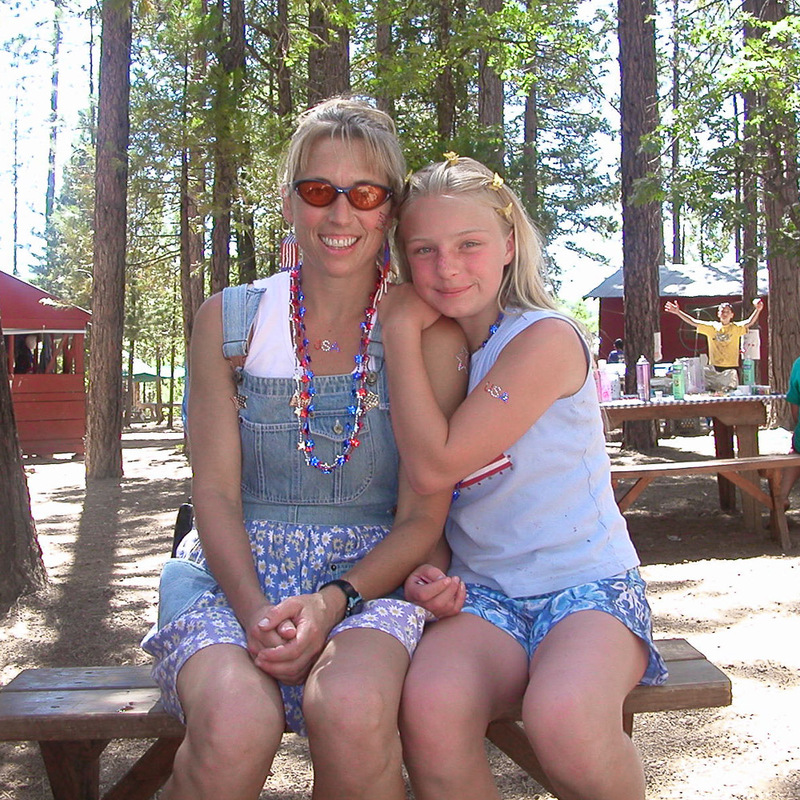 Becky is primarily the parent liaison, daily scheduler and juggler of many staff, campers and worried parents. Probably her finest work is evident in her two lovely children, Ryleigh and Makenna. Craig can fix anything with duct tape and a wrench. Once head of Transportation, Ropes, Water, and Wheels, he is passing the maintenence torch onto Taylor. He is the beaming father of Ryleigh and Makenna and is Becky’s gallant husband and master of camp barbeque night. 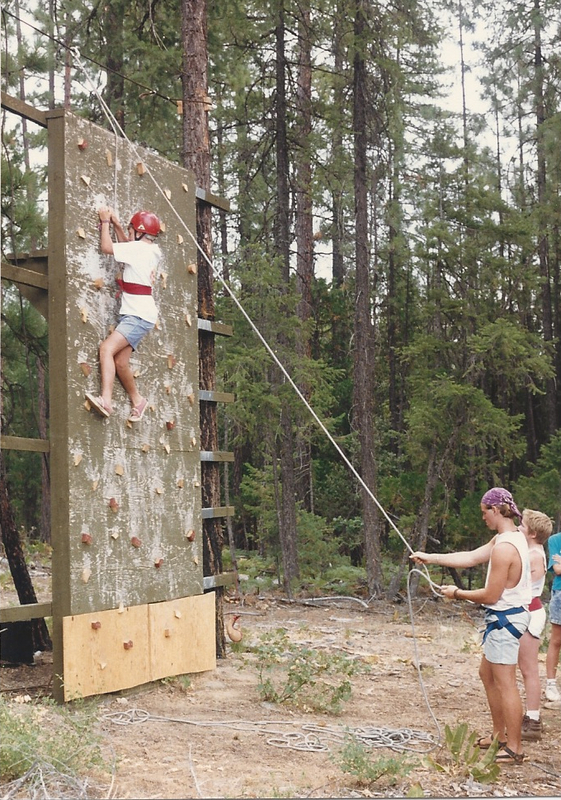 John Lindskog and Lynne Evarts built camp from the ground up beginning in 1965. We have been continuously operating ever since. John and Lynne’s daughter, Lauren Allen, continued camp with her partners, Craig and Becky Hogland. 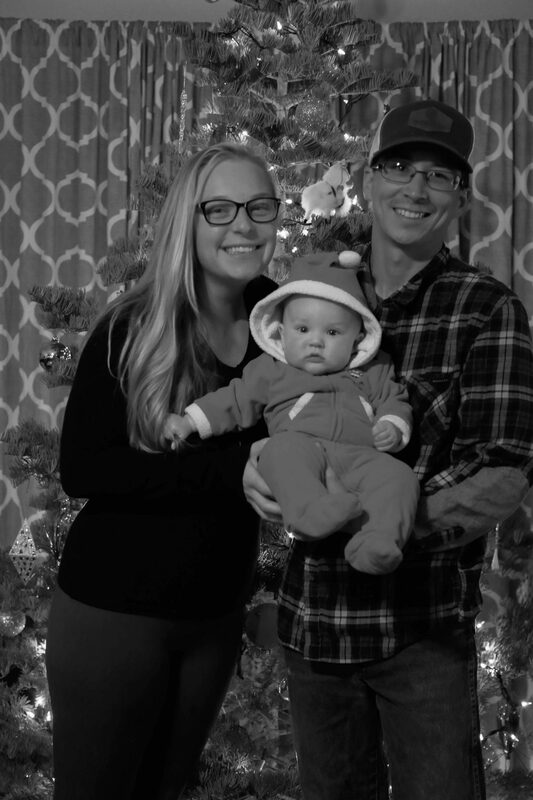 Now Lauren’s daughter, Sutter, and Sutter’s husband, Taylor, have joined the team and own and direct Coppercreek Camp with Becky and Craig. WHAT IS YOUR COUNSELOR TO CAMPER RATIO? A true 3 to 1. we have around 34 counseling and supervisory staff spending their days working directly with the campers. In addition, there is an RN on site, 15 kitchen and maintenance staff, 3 directors, and an administrative assistant. MAY I CHOOSE MY OWN ACTIVITIES? Yes, in our Traditional Camp, campers sign up ahead of time for special activities and trips out of camp, and have free choice in their activities when they are in camp. Our CITs, can choose an area of interest to do their leadership work in. Prospective counselors come to us from many sources: college career centers, the Internet, friends of staff or parents, former counselors in training and the J-Visa program for international staff. Nearly all are over 21, and our average age is 24. Many of our staff are graduate students majoring in child development, education and professional advanced degrees. We also have a core returning staff working with children year round in classrooms, after school programs and on ski slopes. We believe young people respond to good role models who display the highest values and integrity. Each counselor is carefully screened and selected for maturity, exceptional leadership skills, enthusiasm, and a sincere interest in young people. We finger print, check references, review college credentials and interview. We have an RN on site and a medical clinic just 3 miles from camp. We also have ALS ambulances with paramedics and 3 air ambulance companies that serve our area. Maybe! We have only two phone lines, so campers don’t have access to call home at will. Parents are encouraged to call us to discuss any questions, concerns or just to get a “welfare check”. There may be times when it will be appropriate for you and your child to speak. Please just call us first. You may fax and e-mail your camper and your camper may write letters for us to scan and email you in return or send mail. We don’t have any problems with homesickness at Coppercreek. That is because we don’t believe that missing home is a sickness. Missing home is a perfectly normal part of growing up. For some adults, it is just part of being human. It’s not a sickness. It’s just missing home. So, we don’t deal with homesickness; we deal with missing home. We help our campers to face and understand how they feel. We tell them that it’s a very natural feeling, and that it’s OK. Most of the time, they come out of it. Once in a great while, a camper will really have a problem with it. If, after 24 hours, the camper is still missing home and not able to participate in camp activities because of it, we will call you and together decide what to do.Our strongest recommendation is that you DO NOT TELL YOUR CAMPER, PRIOR TO COMING TO CAMP, THAT IF HE OR SHE IS NOT HAPPY, THEY MAY COME HOME. Having an “out” often sets a camper up to fail. If things are not going well, they will focus on the “out” you have given them, rather than working with you and us to find a way to success. That’s fine! It is our rule that campers always need to be participating in a supervised activity, but we don’t dictate what that activity is. We offer a range of activities each hour, from mountain biking, to golf, to crafts, to nature, to tumbling, and campers can choose the activity that interests them the most. If you have specific activities you really want your camper to try, just tell us upon enrollment and we will gently nudge them in that direction. We are located on 200 acres of private land, surrounded by 1000 acres of private and National Forest. We have miles of trails for riding, biking, hiking and playing. Our sleeping cabins are comfortable and rustic, sleeping 6 to 7 campers and a counselor in bunk beds. We eat on a huge covered deck attached to our commercial kitchen, staff lounge and program office. There are two shower houses with shower and toilet facilities for both sexes. We also have a laundry facility where the camper and staff clothing is washed. Campers can expect to have their laundry done once a week. 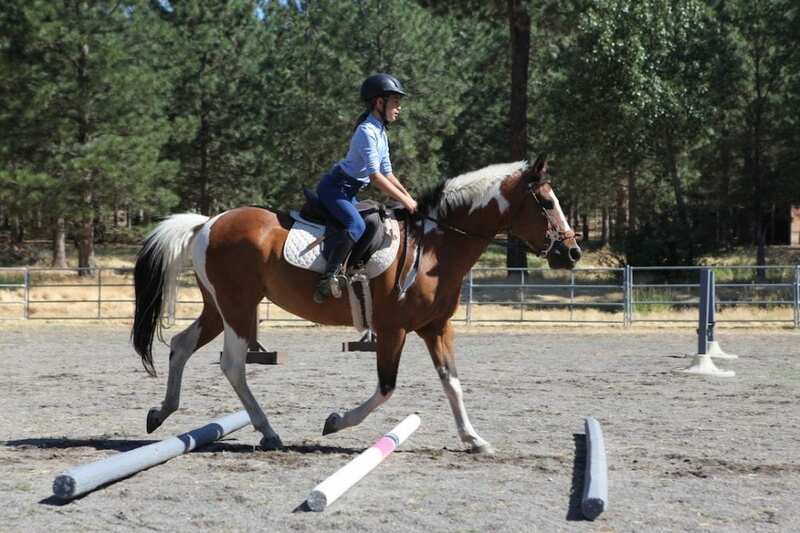 We have three riding rings, an eight stall barn, numerous paddocks, a tack house, two meadows, a creek, several ponds, a swimming pool, a high challenge course with 10 elements and 2 zip lines, a low ropes course, climbing wall and bike house. We also have an archery, and riflery range, sling shot alley, and a very popular nature pavilion near one of our ponds which is home to fish, frogs and lots of campers. We are almost always peanut and tree nut free unless we are absolutely sure we do not have a camper with a nut allergy. We will never have peanut butter as an ingredient in anything such as peanut butter cookies. We offer a vegetarian option at every meal. Please call and discuss any other food preferences or allergies with us prior to enrolling. WILL MY CAMPER BE THE ONLY ONE COMING WITHOUT A FRIEND? NOPE! In fact, we encourage campers to come alone so that they can meet new friends. We are very careful about our cabin group assignments to prevent “clickiness” and we want to encourage new friendships. HOW ARE YOUR CABIN GROUPS DECIDED? 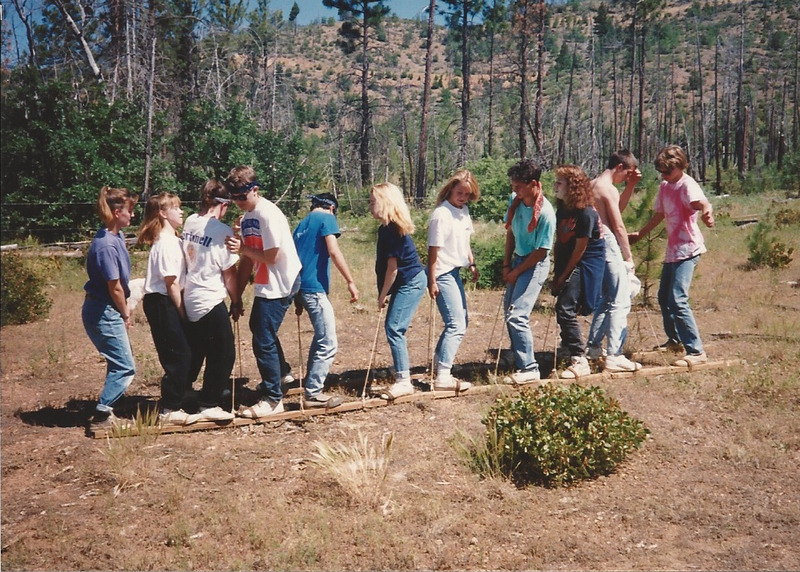 We arrange cabin groups by grade level first and age second. Then we carefully look at campers coming alone, for the first time, returning, or coming with friends to make sure there isn’t anyone that will feel like they are the odd person out. Then we carefully match a counselor to each cabin group. WHEN SHOULD I PLAN ON ENROLLING? Enrollment is open at any time, however, many of our programs and sessions close early in our enrollment season. Please contact us for up to the minute information. MAY I VISIT CAMP BEFORE ENROLLING? Absolutely, but you may want to put a deposit down to hold a place. We will be full by early spring, and some sessions and programs will fill in the fall. Reserve your spot now with a $750 deposit or payment in full. 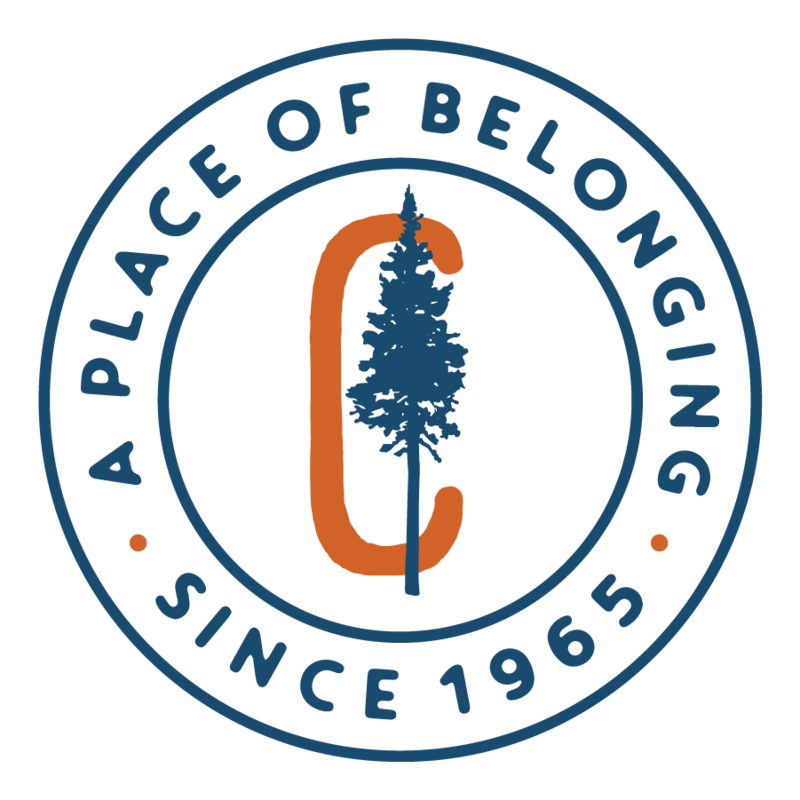 All Traditional Camp tuition is fully refundable until April 1st (minus a 5% accounting and handling fee), and thereafter refunds will be made up until May 1st, less a $750 administration fee. For later cancellations, no refund will be made unless we receive written explanation from a physician describing an illness or injury that prevents the camper’s attendance at camp. Depending on availability, we will offer to roll over your camper’s tuition to the following year. For the CIT program, we reserve the right to retain a $750.00 administration fee for all cancellations prior to April 1st due to high demand and limited enrollment in these programs. NO REFUNDS will be given for cancellations in the CIT program after April 1st.